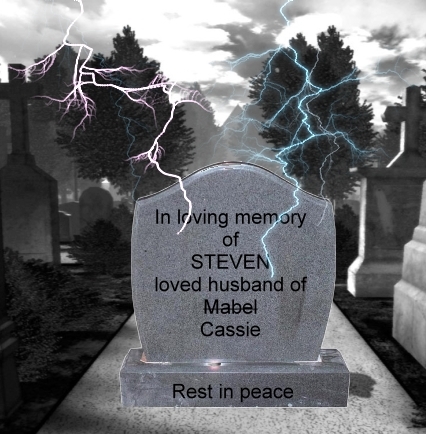 Steven and Cassie had been married for thirty-two years when Cassie died of breast cancer. At the time, their daughter, Annabelle, was thirty. She was happily married and had three children. About two years later Steven remarried. To Mabel. Annabelle was outraged. Annabelle never visited her father. Not even with the children. She would have nothing to do with him. How could he love such a woman? A few years after his second marriage, Steven died. Of a heart attack. In the ambulance. On the way to the hospital.